You are viewing an extremely hard to find 7.3 liter Power stroke Turbo Diesel with a bed! This is a one owner F550 that is completely stock and has never been modified. It is in excellent condition and is RUST FREE. The undercarriage, the rockers, cab corners, oil pan, are all in excellent condition. We can send more photos of the undercarriage if you need. It has been very well maintained and has 18 service records noted to the Carfax history report. It comes equipped with a full four doors, the XLT package and has power options. 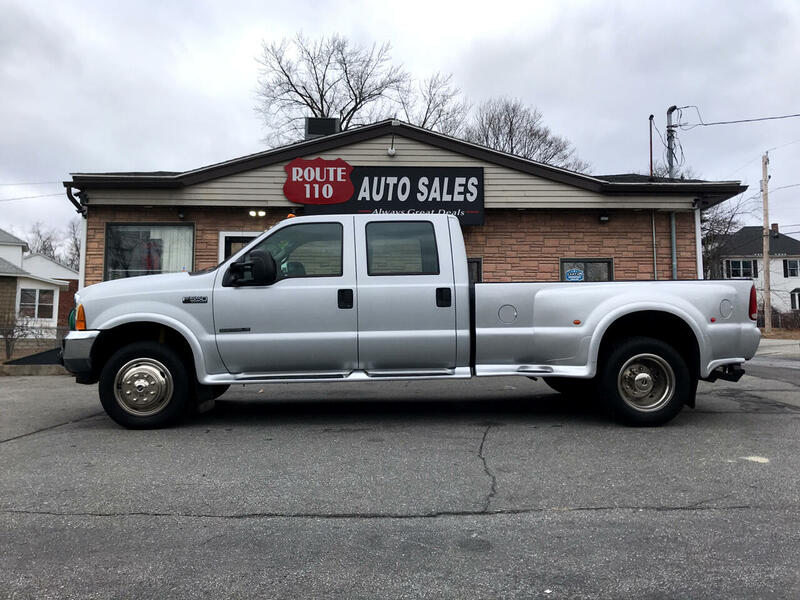 This low mileage power stroke is ready for its next owner! The hitch is NOT welded. This is a bolt on system rated to 7500 lb tongue weight and 30,000 gross trailer weight. The previous owner spared no expense on this vehicle. This truck is equipped with dual fuel tanks. The upgraded replacement transfer flow fuel tank has a capacity of 34 gallons. Call 978-459-7800 or text 978-387-3524 for inquires! It has been fully safety checked, serviced and is ready for delivery. Ask for a Carfax history report. It provides you peace of mind with detailing information related to the past owner and service records. Our knowledgeable sales staff is available to answer any questions that you may have. Stop in and take a test drive! Call 978-459-7800 to schedule a time to come in or ask any questions!